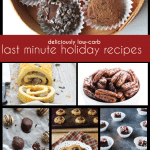 Easy and delicious low carb breakfast cookies! 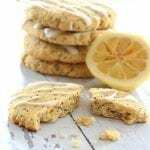 Whip up a batch of these soft lemon poppyseed breakfast cookies before the rest of the family is even awake. It’s less than three weeks until we move across the country and I am in a weird sort of limbo right now. We were working feverishly for several weeks there, trying to get things organized on the Portland end while also trying to sell our house and wrap things up on the Boston end. Reason tells me that this process should be getting progressively more frantic as the move draws near, but somehow that isn’t the case. There is a strange lull at the moment where things are starting to fall into place on both ends and there isn’t much for me to do at the moment. And you’d think I’d be thrilled about it, but I’m not. I find myself uneasy because I know that it’s a false sense of calm. It’s the eye of the storm, where the whirlwind pace of preparations has slowed for now. But I am not fooled because I know that in about 2 weeks time is when the real fun starts. Until then, there isn’t much I can do but mentally prepare myself. Well, actually, there is a lot I can do. I can bake and cook like a madwoman to try to use up as much in our freezer and pantry as humanly possible. Which is an admirable feat, I would say. 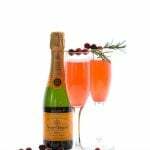 Especially because, as I am wont to do, I have taken on far too many projects for the holiday season and am feverishly cranking our recipes for clients as well as the blog. There will be some inevitable downtime during the actual move, when we have arrived in Portland and our worldly goods are still in transit from Boston. Can you just imagine how hard it will be for me to have nothing to cook with for a week or two? Nothing except a few paltry items we are shipping out ahead of time . All my beloved cooking tools and gadgets meandering their way across the country while I make do with a single pot, a single pan, a wooden spoon and paring knife, and that’s about it. You know that when our stuff arrives, the first thing I will do is set up the kitchen. 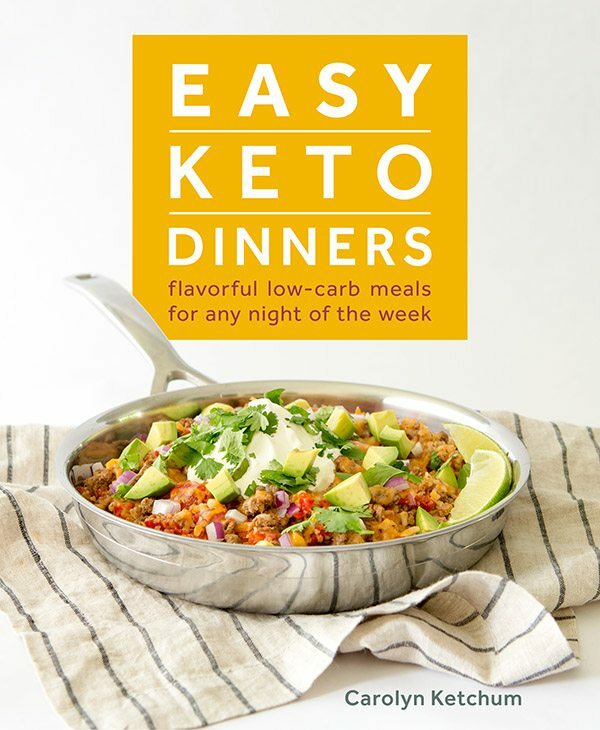 So easy recipes will be the order of the day for a while, as you might imagine. It will be a little like camping, I suppose. Minus the warm summer weather and the outdoors, the scent of the wood fire in your hair and your clothes. So really not like camping at all, actually. More like being in an empty house without any furniture or kitchenware. On the plus side, at least there won’t be any mosquitos! Breakfast cookies are pretty darn easy to make, so you might think I could whip these up for the kids while we live this funny little life for a bit. Except this does require some beaters and I won’t have any. I am not sure I can move that wooden spoon fast enough to get all the ingredients properly combined. It’s worth a try, though, because these were a huge hit with the kids. It always feels like a real treat when you can have cookies for breakfast! Preheat oven to 325F and line a large baking sheet with parchment paper. In a medium bowl, whisk together the almond flour, coconut flour, poppy seeds, baking powder and salt. In a large bowl, beat cream cheese, sweetener, egg, lemon zest, lemon juice and stevia extract. Beat in almond flour mixture until well combined. Form by hand into 8 to 10 even balls. Flatten with the palm of your hand to about 1/2 inch thick circles. Bake about 20 minutes, until set and just barely brown around the edges. Remove and let cool on pan. 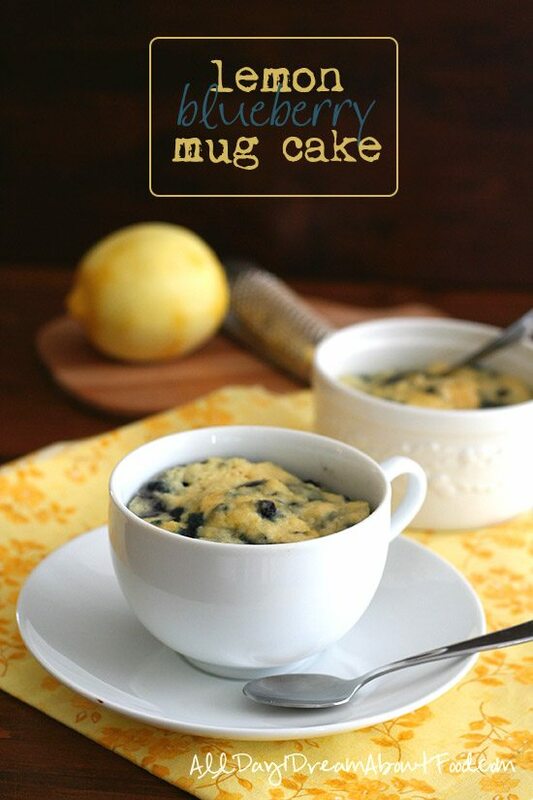 In a small bowl, whisk together sweetener and enough lemon juice to make a thin glaze. Drizzle over cooled cookies. Serves 8. Each serving has 7.59 g of carbs and 3.47 g of fiber. Total NET CARBS = 4.22 g.
I had to make them with the help of a spoon .. put them in the oven 20 minutes as the recipe says, but I also found a short time since the end of that time the interior was too soft, about 10 minutes more left .. what can i have done wrong? any help? What kind of almond flour did you use? And what sweetener? If a dough is that soft, you should always add more flour. Did you also use the coconut flour? Hi Carolyn, I think I know what the problem is having just made this recipe myself. Not all cream cheese is the same! As you know, in the States cream cheese comes in a block. In Europe it comes in way smaller quantities, clearly destined to be a spread, so when it is whipped it is really, really runny. Having lived in the States I understand the difference. I have had this happen with several of your recipes which use cream cheese. I am waiting for my cookies to come out of the oven as I write – and having found the resulting mixture way too loose to handle in any way, and knowing the sponge-like qualities of coconut flour, I gently added extra coconut flour, half a tablespoon at a time, until the whole mixture firmed up. Still not really firm enough to handle, but I was able to get balls onto the baking sheet with a cookie scoop. Hi Christiana. Well that makes perfect sense! A little extra coconut flour would help…So would something like xanthan gum since most cream cheese brands in the US use a thickener like that. Hi Carolyn – the cream cheese here contains locust bean gum(!!!!) as a stabiliser, but it is a completely different consistency to the cream cheese in the States. I have xanthan powder so next time I will experiment with that. 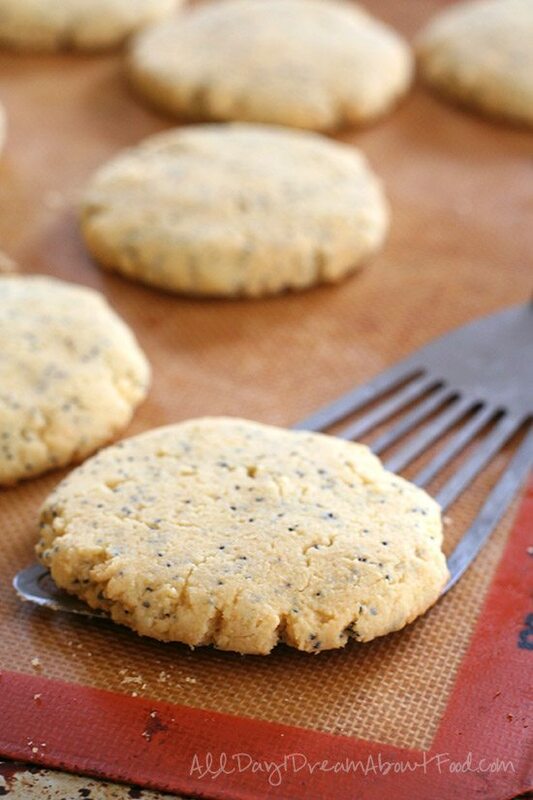 And maybe a smaller amount of poppyseeds – my cookies have a bluish hue and are way more speckled than yours! Probably different poppyseeds too! But they taste good! As always! I’m a European and I noticed this problem with American recipes that ask for cream cheese – so I replace it with quark, thick, but not grainy, full fat. Problem solved – no xantham gum or extra flour needed, the texture is good – and most of my family and friends prefer quark to cream cheese anyway. But, I’d like to know if it’s possible to replace coconut flour with something else – I hate the coconut in any form and shape. 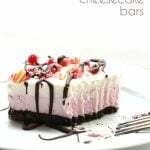 Just made these and they are very easy to make and very delicious. Didn’t have a real lemon in the house so I added a little lemon extract. They firm up completely once they are cooled. Once again, thank you for doing all the hard work for us and coming up with another wonderful recipe!! If you can find Citric Acid powder for canning and pickleing, 1/4 tsp is approximately the same taste/sourness as the juice of one lemon and it has NO carbs, NO calories! Use it in conjunction with your lemon flavoring, and enjoy! These look tasty! And welcome to Portland! Hope you enjoy it here. Congratulations on your new life adventure, Carolyn! I hope that the move goes smoothly. Portland is one of my dream destinations, as well:-) Thank you for taking time out of your busy schedule to share these cookies with us! 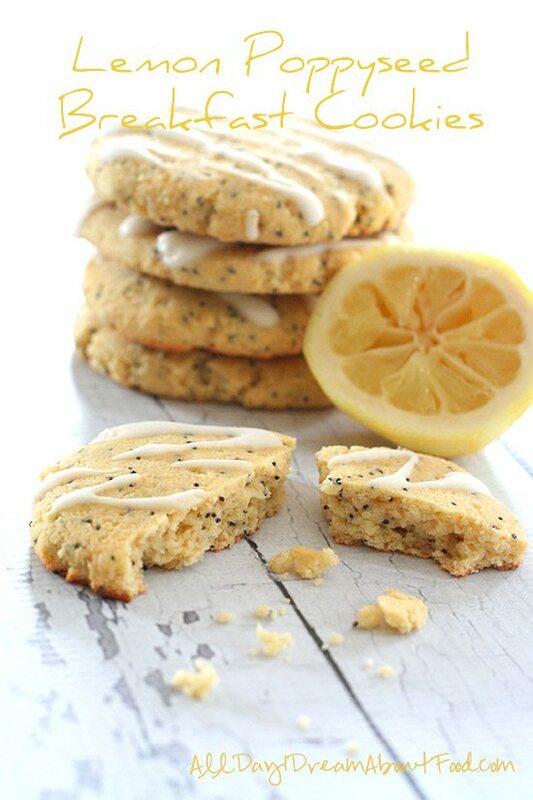 Lemon-poppyseed is a wonderfully classic breakfast flavor, and stirring it into a low-carb cookie makes this recipe perfection! 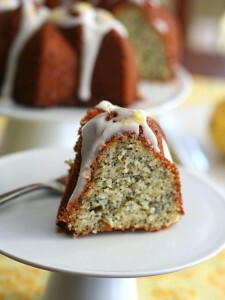 Thanks again, you are an amazing gal, can’t go wrong with lemon and poppy seeds. We are heading to Portland Friday, love shopping there even though we are 2 1/2 north. The best fabric shops, book store, Powell’s, downtown Portland. You have to check out Otto’s sausage kitchen, outstanding family run business, they were a stop on the D.D.D. show. Have a safe and “Fun” move, a new chapter in your family’s life. Carolyn, I say just enjoy things falling into place and relax while you can! Tip: have a “first off the truck” box or 2. . I filled mine with kitchen and bathroom essentials and cleaning supplies but I also had a second box with pots and pans and paper plates etc. Be sure to label the boxes (obviously) and tell the movers. . this really helped me because our movers were unloading the truck all day! good luck!!! I’ll be thinking of you sister! and love these breakfast cookies!!! 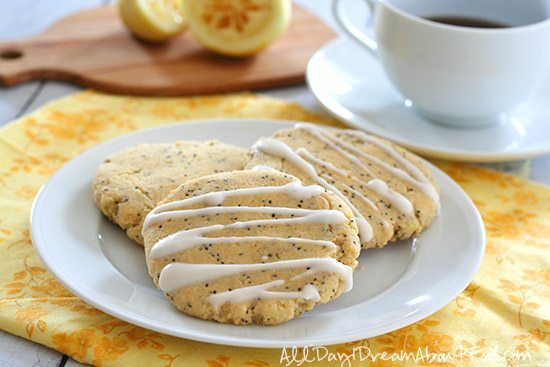 I’m a sucker for anything with lemon and poppy seeds! I love lemon and poppyseed anything! Sure, you can sub some real sugar. Can you suggest an amount? I have no idea how sweetness compares to those substitutes. I like only slightly sweet if that helps give you an idea. I really appreciate your reply and like your newsletters even though they are usually too complicated for a one person Household to bother with. It would be great if you could routinely offer the alternative sweetner possibility. I am on FODMAP diet and can’t use agave or honey either. Thank you! I’d sub the Swerve with sugar (they are about the same in sweetness) and leave out the stevia. Or maybe a little less sugar than my amount of swerve, if you really prefers things only a little sweet. I hear you girl!! Nothing is as daunting as the thought of moving and going for a week or more without a decent kitchen… specially if you have a family that wants to be fed NO MATTER WHAT ! I’d make sure that at least the Microwave and a Slow Cooker are the first things to be unpacked and try to make some Meals-in-a-jar that only need a pot, water and heat to prepare. I don’t even want to THINK about the time it will take you to find your way around a totally new kitchen. I must have missed your blog post about moving but I live near Portland, just north in Vancouver WA and we love the area. Welcome! I have been following your blog for years and so happy to have you on this side of the US and so close to home. Good Luck with everything. Made the cookies, had them for breakfast. Delicious!! These were so good! I’m going to make a hundred and freeze them for breakfast and desserts. 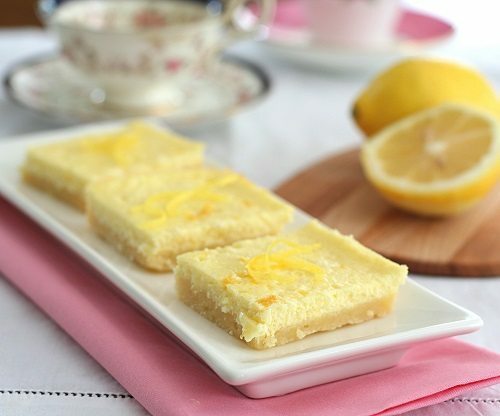 I do have a question though, my husband is not a fan of lemon but I have a whole bunch of extracts, can you recommend a conversion amount? I have almond extract and ten or so fruit extracts but I’m not too good at using them yet. I’d probably aim for about 1 or 1.5 tsp of lemon extract in the cookies and 1/2 tsp in the glaze. 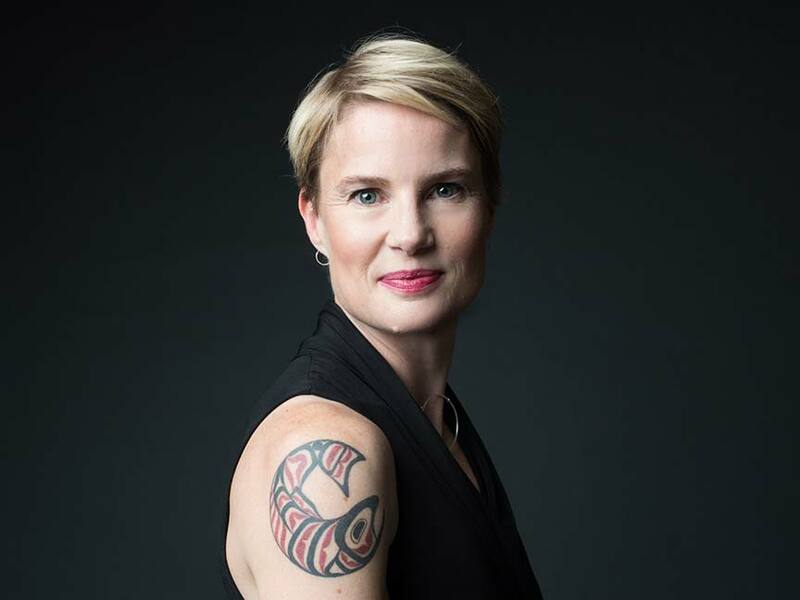 Dear Carolyn, You have youth on your side, that means strength(physical) , endurance and stamina, all the attributes that were lacking in me when I moved just recently . I also have RA. We saw a house and it was *le coup de foudre*, so there was no time at all to prepare or even have a yard sale,we gave things away that we now could use . It was panic time Almost everything was packed up (50 years of stuff) and the house needed to be sold, I never slept more than 5 hours ! My dream house sold 2 days after the open house . That move took 15 pounds off my body, which aged me at least 10 yrs. Connie Stevens once said, when you are old you have a choice, either a nice trim figure with a wrinkly face and sunken cheeks(me). or a plump wrinkleless face and some padding on your hips ! I am eating a lot of cheesecake lately! Luckily my husband did not divorce me, I was a real B…. and yelled a lot! But now we live close to the grand kids and all is well! So you young thing, lol, you will survive! Best wishes, Barbara from California. 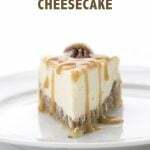 P.S I love your recipes and I bake the cheese cakes in the pressure cooker, so I can eat them faster. 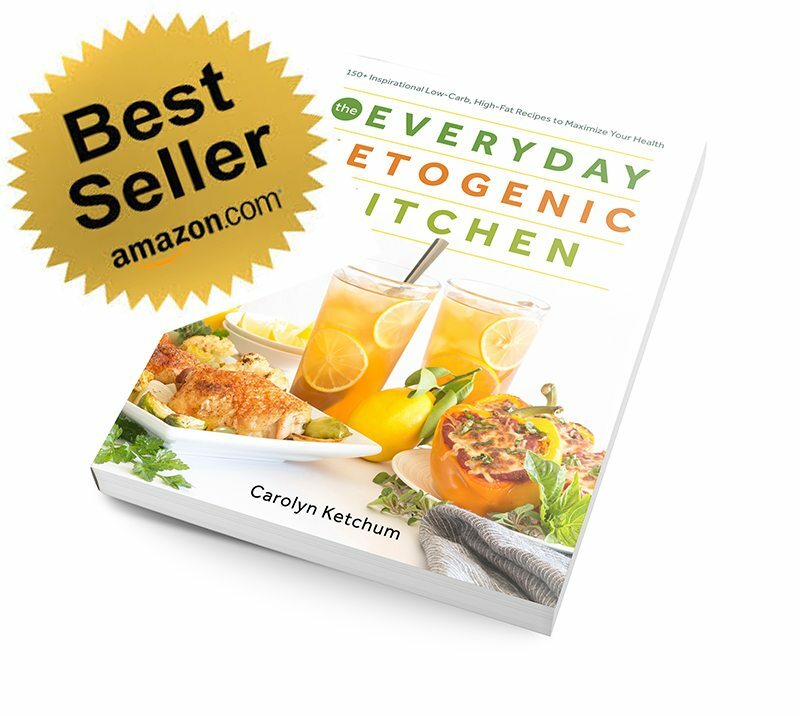 Well I’ve been following your blog for awhile now and if I know you like I think I do, you will whip up something miraculous to eat until the rest of your kitchen catches up with you. You are most definitely extremely resourceful! I have lots of confidence because I know you love a good challenge. I hope you have a great move and I’m sure you are super organized (even if you don’t think so). Enjoy the trip! Just saw that your family is moving to Portland… Welcome to the Pacific northwest! 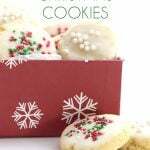 I almost forgot, these cookies sound delicious, I will be making them tomorrow morning! I love all things lemon. Made your lemon curd a while ago and swirled it into a goat cheese semifreddo I made in the summer. Soooo good! Goat cheese semifreddo, how amazing! Who knows, maybe you will! Seems like a lot of my readers are here in the area! I no longer have big appliances and used a hand mixer which was not strong enough to really mix the flour in…so I did it by hand. I’m assuming it supposed to be that still in order to roll and hold shape. I live in Oregon and have gradually moved southward starting in Bellingham, WA. Just bought a small winter place in Chico, CA and will be in southern and coastal OR in summer. I’ve really had it with all the rain but at least Portland has everything to offer. I think if it worked by hand, that’s great! I just made some of my low carb pastry by hand because my big processor is packed away and it worked fine. And hey….it’s sunny right now so I am headed out to explore my neighbourhood! These turned out to be delicious. I think, next time, I will squish them a little thinner. The idea of almond extract is really appealing since the combination is so good. Next time…… I just used a dash of stevia powder since not liquid on hand. Perfect. And last; these are great right out of the freezer since they don’t get rock hard!! 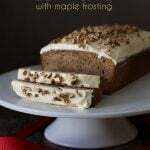 Can i use chia seeds instead of the poppy seeds? I don’t think it will be thick enough or hold together very well. Maybe coconut butter/cream but even then I have my doubts. Why is it necessary to use Swerve AND Stevia? It’s not “necessary”, it’s how I choose to do it. 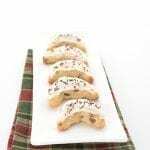 I made these today, and they turned out great – and I realized I did not have poppy seeds! 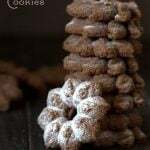 I used sesame seeds instead the texture is SO great I can see using it as a base for any flavor really they almost come out oatmeal cookie-ish but I use trader joes almond meal over almond flour so that could be it. I can understand where one commenter said hers were soupy that makes sense mine started that way too, but the more I mixed it the more stiff it got with the flours. Then I used a spring loaded scoop and they were great! Thanks so much. WHERE IN THE GROCER CAN I FIND POPPY SEEDS?? Welcome to Oregon! Portland is a wonderful destination and Oregon is the stunning place! You can be at the beach in less than 2 hours, over the beautiful Cascade mountains and into the high dessert in less than 3 hours. The rain can be a little long over the Winter months but I am convinced it produces spring colors seen no where else and we have amazing summers! See if you can get down to Silver Falls State Park once you settle in and we get passed the rainy moths! These were excellent! Thank you for another great recipe. 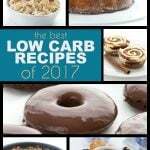 My husband made me these cookies, i am a type 1 diabetic and eat very low carb. they were amazing, thank you for all the great recipes! I made these today and fear I may eat too many. They are delicious! I finally got my hands on some Swerve sweetener and picked these to make. They are delicious. I can’t believe how good Swerve is compared to other brands. Had to leave out poppyseed as I suffer from diverticulitis. But these are wonderful! I used the juice of a whole lemon, didn’t measure. I used my cookie scoop and wet my finger to smush them flat Did not use the icing as that’s not my thing. So yummy!!! Wondering what else I can make with this. Thanks! I believe there is an error in the measurement of the poppyseeds. The recipe calls for 3 tablespoons and I believe it should have been 2 teaspoons. I used 3 tablespoons and it is WAY too much. Doesn’t even remotely look like the cookie in the picture in terms of the amount of poppyseed. The poppyseed flavor was overwhelming. I wasted a lot of expensive poppyseeds. I meant 3 teaspoons. I made a double batch and stopped at 5 tablespoons. Thank God I stopped there. Still don’t know if the cookies will be edible. They are in the oven. No, it’s not an error. That’s what I used and many people have made these without an issue. Can you skip the sweetener? No, I don’t think these would be very good if they weren’t sweetened with something. So incredibly yummy. I tried these at the same time that I tried the Paleo Granola recipe. I have a new found love for breakfast. I am thinking that both the granola and the cookies are going to do really well for the several camping trips we have planned for the summer, great on the go breakfast options! I also plan to make/take both on a short trip on a plane to have some options to munch on there. Thank you! Thanks for the recipe. 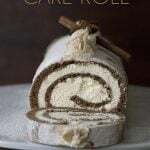 Do you think I could substitute Fat Free cream cheese and keep the recipe as it is, or would I need to make additional adjustments? I don’t know. 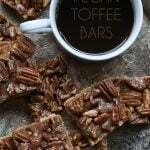 Fat free tends to have fillers and I can’t say for sure how they will behave in this recipe. Looks wonderful! Is there a way to sub the almond flour for almond meal? If so how much almond meal do you suggest? Thank you!! Sorry, almond meal will not give you a good enough texture. Hi! I just made these cookies. Replaced poppy for chia. Came out beautiful! Also put half of a macadamia in the center of some. Thanks for the recipe! You should be on Instagram too. 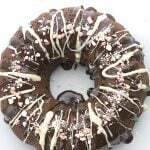 LOVE LOVE LOVE your recipes and site. 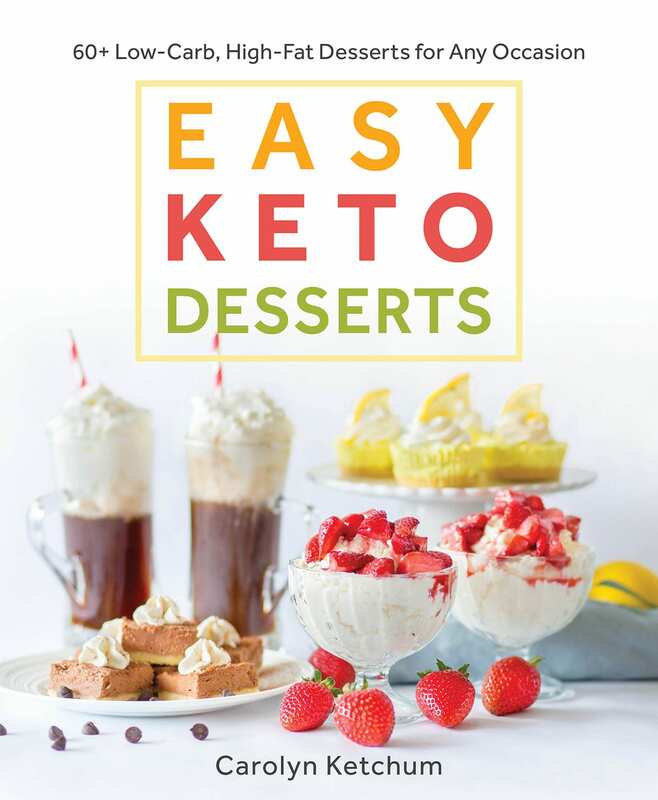 You have helped me do a Keto diet for my blood sugar issues! No, I make lemon glaze like this frequently (just did it for a cake recipe) and it’s absolutely 2 tbsp. Are you using Swerve or another sweetener?